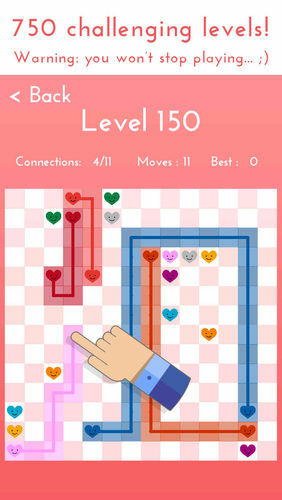 Create paths between hearts of similar color by sliding your finger on the board. 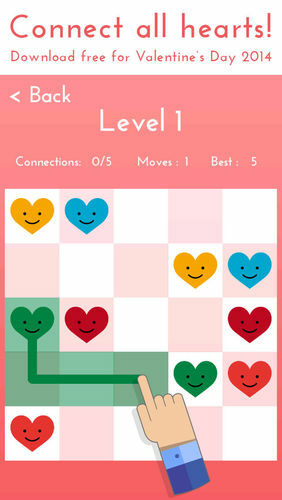 To finish a level, connect all hearts and make sure all tiles of the board are covered. But… Be careful, paths will break if they cross or overlap! 美少女戦士セーラームーン　セーラームーンドロップス BANDAI NAMCO Entertainment Inc.